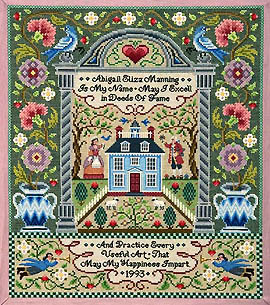 A schoolgirl sampler that exemplifies the distinctive style indicative of the Mary Balch School, from the architectural arrangement to the moral sentiments expressed right down to the authentic stitches used. 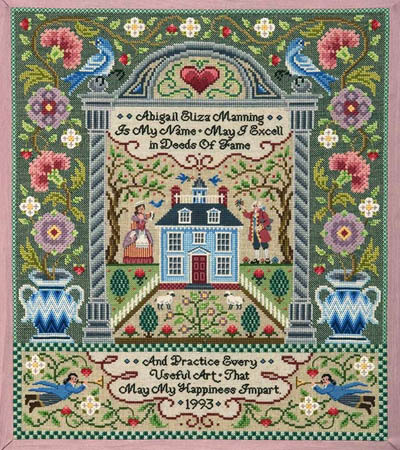 This design appeared in Treasures in Needlework: Spring 1993, Vol. II, No. 1 and has long been unavailable, but now it's back!.